what's better than banana bread? BANANA BREAD FOR BREAKFAST!!! 1.Mash banana, mix with almond milk and egg whites. Set aside. 2.Combine the rest of the ingredients in a small bowl. Add sweetener of choice. 3.Slowly combine wet ingredients with dry and pour into a small baking dish. 4. Bake at 375 for 35-40 minutes or until center is cooked through! 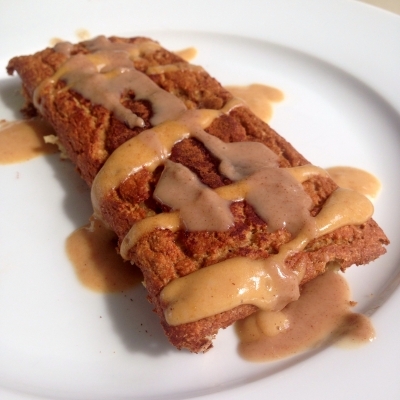 I topped mine with peanut butter SLAP whey and sweet spreads!